It’s important to be familiar with the National Firearms Act, which outlines all registration and taxation procedures. Since The Sharp Shooter has a Class III license, we are able to get you the best options available of all short-barreled rifles (SBRs), short-barreled shotguns (SBSs), and Transferrable Machine Guns. Interested in SBRs or SBSs but don’t know the legal classifications? 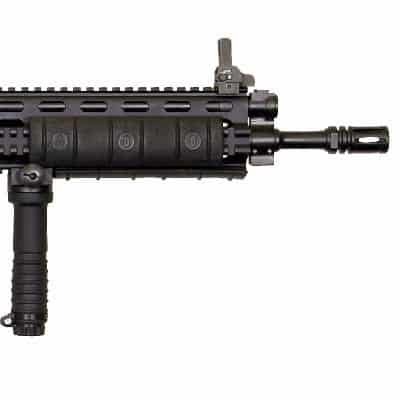 To be considered a short-barreled rifle, the firearm must have a buttstock with a rifled barrel less than 16 inches. Something to be aware of is that the total length of our SBRs are measured in the EXTENDED position. The process to becoming an owner of a SBR takes patience, so talk to one of our knowledgeable staff to start that process today. We are dedicated to finding or selling your product, and that begins with you, the customer. NFA sales are strict and require experience and knowledge to handle, so call us, and we will help you start your buying or selling process. The Sharp Shooter is a licensed seller of Class III suppressors and carries a large selection in stock. You will find brands such as: Sig Sauer, Gemtech, Silencerco, and more! Come in and let us walk you through the the buying and registration process for your new suppressor. 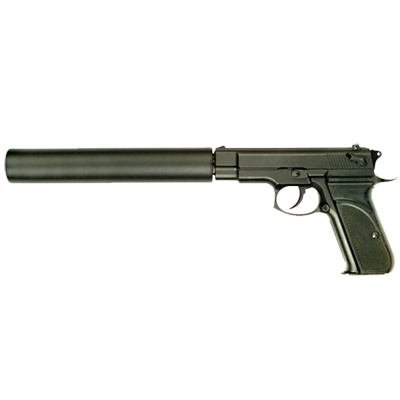 We also provide revocable living trust documents with purchase of all suppressors purchased at store.